Cheap commercial bouncy house waterslide for sale. 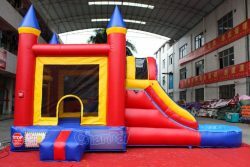 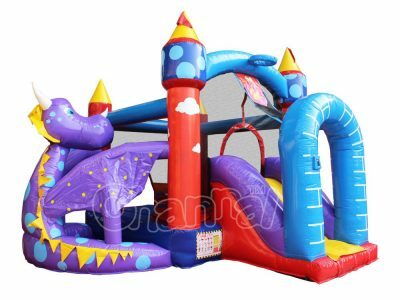 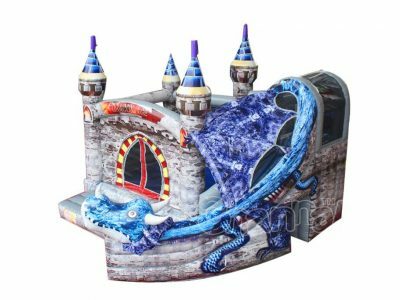 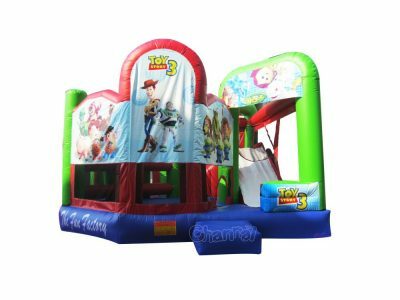 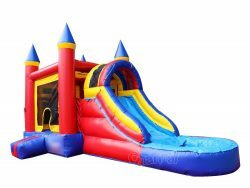 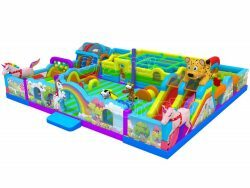 Elegant design, castle like, with a small pool and a basketball hoop in the bounce house. 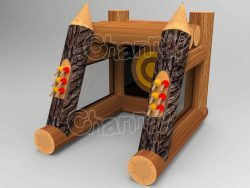 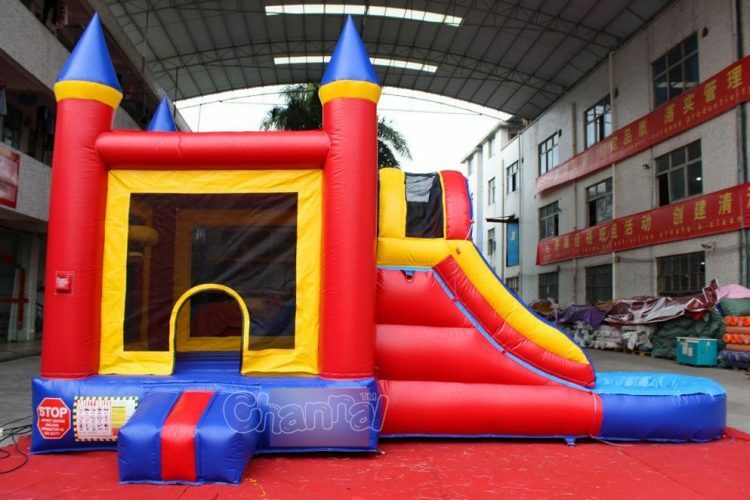 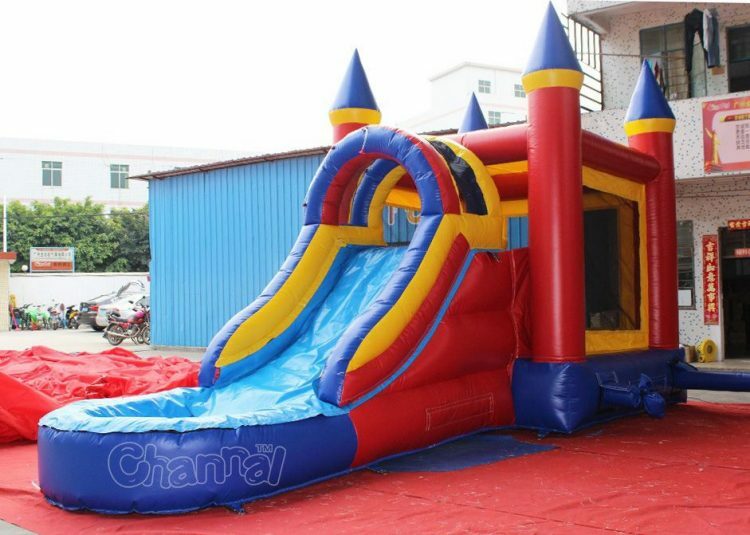 Buy Channal’s bounce house with waterslide at a good price, obo. 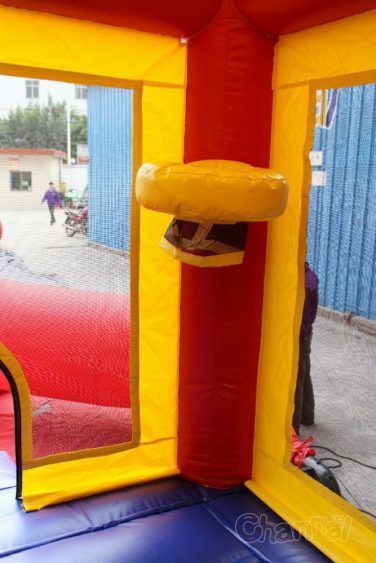 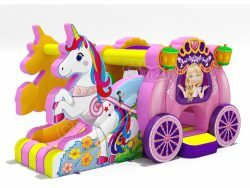 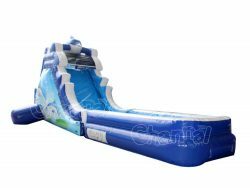 We also got many other inflatable water slides for you.